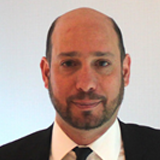 Jared Lazerson, President & CEO. MGX Minerals has developed a patented and patent pending rapid recovery process that concentrates valuable minerals such as lithium and magnesium from natural brine and oilfield wastewater. 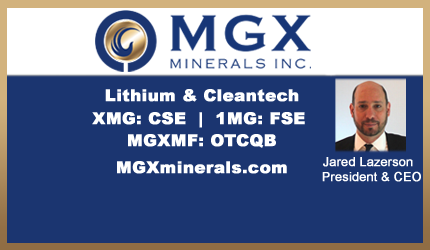 MGX owns lithium, magnesium, and silica projects throughtout North America as well as advanced fuel cell technology for mass storage. Premium to Market Financing Shows Confidence in Resource and CleanTech Sectors.